I grew up on the Crow River. I remember walking with Grandpa on the cow paths worn along the hillside above the river, and measuring flood or drought against the big rock at the end of the island. We found wild strawberries on those hillsides, and picked prickly gooseberries later in the summer. Mending pasture fences, I watched the bluebirds nest each year in an old, gray wooden fencepost. 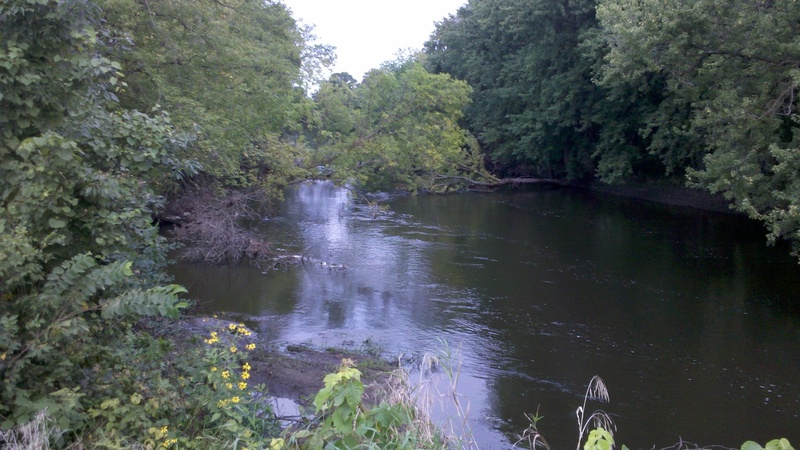 In 1976, our Meeker County part of the Crow River was added to Minnesota’s Wild and Scenic Rivers list, along with parts of the Mississippi, Kettle, Rum, Minnesota and Cannon rivers. Now an oil pipeline crosses the wild and scenic Crow River, and this year the pipeline company proposes to double the amount of oil that the pipeline carries. Courtesy of Koch Brothers’ Minnesota Pipeline Company, the 24-inch pipeline snaked across Meeker County and under the Crow River in 2008. Line No. 4 runs for 295 miles, through rich farmland in 15 Minnesota counties, crossing “64 perennial streams and 119 intermittent streams” along the way. The pipeline brings Canadian oil to three refineries near the Twin Cities. Whatever the dangers of oil pipeline leaks may be, they are not the only, or even the most present, danger to the Crow River. As is the case for most of Minnesota’s “impaired” lakes and streams, the greatest damage comes from non-point pollution. A sewage plant or a pipeline leak would be a specific point of pollution. Non-point pollution travels invisibly in rainwater and snowmelt, coming from a variety of human activities, including urban run-off, farm fields, livestock waste, and riverbank erosion. Back in the 1970s, I heard Pete Seeger singing about rivers, and especially about his love for the Hudson River near his home. For decades, he fought tirelessly to clean up the Hudson. Back then, I thought our Crow River was less vulnerable than New York’s Hudson River. Now I know better. In 1996, big turkey barns were built less than a thousand feet from the Crow River. More than a hundred local residents and landowners protested, believing that processing half a million turkeys a year through those barns would endanger the wild and scenic river directly downhill from them. The turkey growers promised to build carefully and move a gravel road and said that the no run-off from manure or dead turkeys would ever reach the river. I can see the feathers collecting along the shoulders of Highway 24 when trucks haul loads of live turkeys to slaughter. I can’t see whether or how much the turkeys contribute to non-point pollution flowing in rainwater and snowmelt into the Crow River. A pipeline or a turkey farm makes danger visible. Bigger, ongoing damage comes from multiple, far less visible sources. We can’t see how much each specific field or drainage ditch contributes to the non-point pollution that endangers our rivers and waterways.